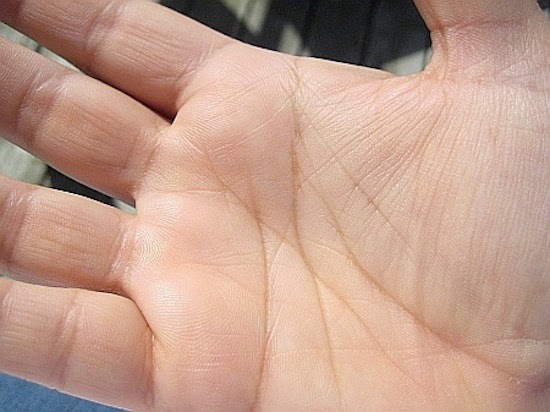 A palm’s color indicates that how much money a person has. If the palm’s color is clean then a person’s financial condition will be good. A person whose palm is black they have shortage of money. It shows that a person have to struggle in his life. If palm’s color is yellow then you will get money but you may have some diseases and you have to spend your money to get rid of from these diseases. If palm’s color is pink then you will have good money as well as prestige and fame. If your fingers are long and thin then it is good for financial position. If fingers are small and fatty then you may have to do struggle in your life. If there are joints in fingers then there would be ups-downs in your financial position. If thumb is hard and do not bend backward then you not only earn good money but also you will get success to save it. If the last finger is long then person will earn very good money. There are many lines in palm which shows the financial condition. If luck line comes to the middle of the palm then you will get very good amount of money. If there is a double line on mountain of Sun then also you will get good money. If such lines starts from luck line and goes to the mountain of Mercury then person will earn money from business. Mountain of Venus and Jupiter shows financial condition of a person. Other mountains show how you will have to struggle to get money from business or other sources. If mountain of Jupiter is good then person will earn money from his desire. If mountain of Venus is good then person earn money but he will spend on luxury stuffs. However if both these mountains are good then person will earn money but he lives normal or misery life. If mountain of mercury is good then person not only earn good money but also he will manage it very well. Many times such signs make you rich. If there is a cross on mountain of Jupiter then you will not only get good money but also you will get your desire life partner. If there is a star on the mountain of Sun then you will get fame, prestige and money. If there are circles on your fingers then you will get very good money. Also if there is a sign of temple, Trishul and flag then you have good amount of money. Extra Remedy: If you want to always live happy then you can keep bouquet of colorful flowers. If you do not get original flowers then you can also keep artificial flowers.